The 1985 Bertram 54 Convertible is a sport fishing icon. This Bertram model is a superstar of her era and perhaps the most popular and highly-regarded sport fishing yachts ever built! Few boats her size will compare when it comes to heavy-weather handling. Priced to sell and shouldn’t last. Lowest priced Bertram 54 on the market. 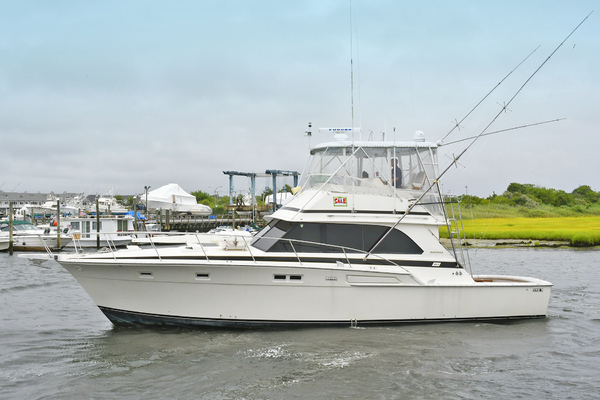 United Yacht Sales New Jersey would love to guide you through a personal showing of this 54' Bertram 54 Convertible 1985. This yacht for sale is located in Pompano Beach, Florida and priced at $99,000. For a showing please contact us by filling out the form on this page and we will get back to you shortly!